Access to the Internet has become extremely common and mainstream. Today, the majority of the children have access to the Internet due to advancements in technology. However, the Internet is not completely safe for children. Content that is not suitable for children are available freely on the Internet. Moreover, children tend to search the Internet rigorously because adolescence is the age of curiosity. It turns out to be the responsibility of parents to keep a check on their children’s online activities. Parents should be aware of what their children are browsing on the Internet and guide them. 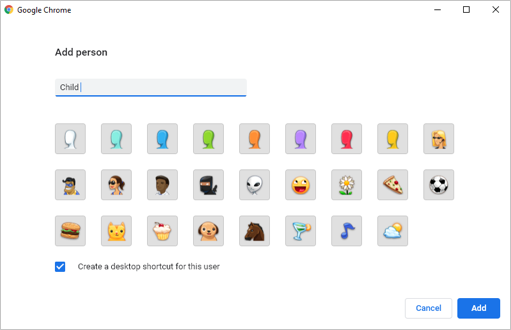 In the past, Google Chrome had a dedicated option to setup a supervised account for child. However, this feature is not available now and you can follow some indirect ways. 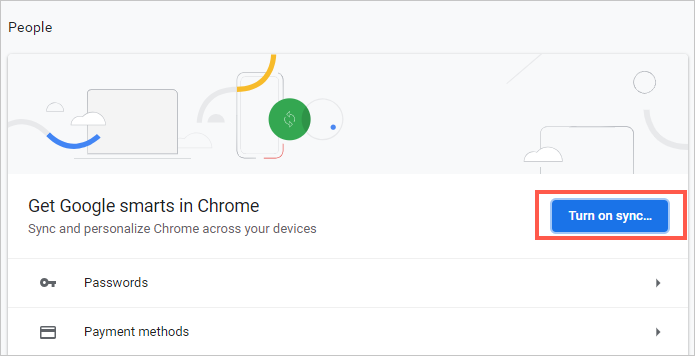 Here are the 3 ways for setting up parental control on Google Chrome when you share the same device with your child. If your kid has separate device then we recommend you to setup control on device level. Learn more on setting parental control on Windows 10, macOS and iOS. Chrome comes with advanced built-in features for safe browsing. This feature can help in creating a safer browsing environment to protect from malicious websites. You can enable safe browsing by going to “chrome://settings”. Enable “Safe Browsing” under “Privacy and security” section. Remember, safe browsing will not stop sites that your kid opens willingly thus optimum control is not possible. You can try to use below explained methods to have more control. Click on the three dots button named “Customize and Control” icon and go to “Settings” option. Turn on sync and link your Gmail account with Chrome. Once done, click on the profile icon next to address bar and choose “Manage people” option. Click “Add Person” button and type the name of for your kid’s new account. You can also add avatar image and click “Add” button. A new window will open for the account. Go to “Settings” and enable sync as explained above. Now, link your Gmail account to the profile. You can monitor your child’s complete browsing activities on any of your devices. You can check out the history, bookmarks, locations and other data by using the linked Gmail account. Creating a profile and linking to your Gmail account will even work when your kid has separate device. However, your kid can disable the sync feature from settings. 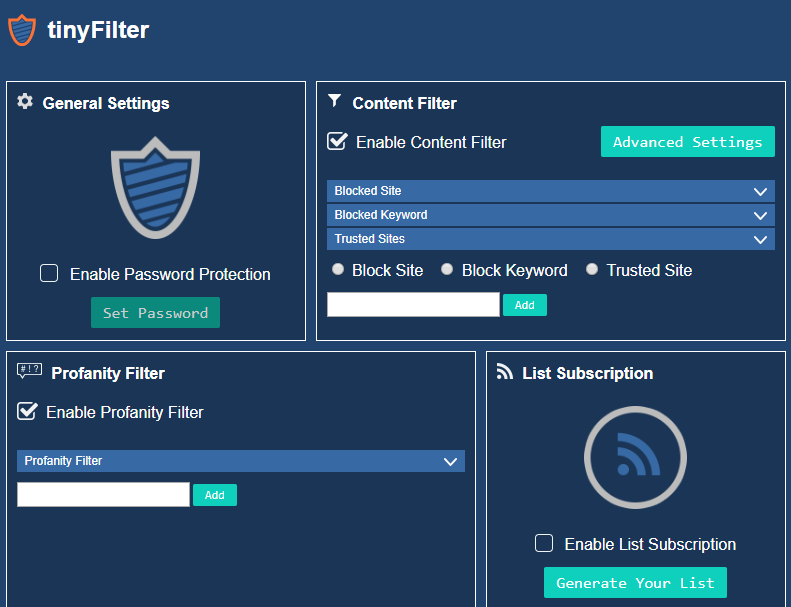 WebFilter is one of the most famous parental control extensions on the web store. It has range of features to save children from wandering into the worse parts of the Internet. After installing the extension to Chrome, click on the extension icon next to address bar. You will have three options – block a website, trust a website and additional options. You can set up a password for websites under the general settings. Control filter has the option to block websites and even redirect to some other websites. This feature can certainly be helpful for parents to stop distraction for their children. Moreover, profanity filter helps to block any website with the specific words in its address. Some words are already available, but more can be added depending on the requirement. There is a chance that you allow a website to your children, but it has irrelevant words. For example, your children are allowed to use Facebook, but you want to avoid them seeing inappropriate words. For this purpose, you can make a list of words you want to filter and replace them with proper words. This will help kids not to get distracted with the words. 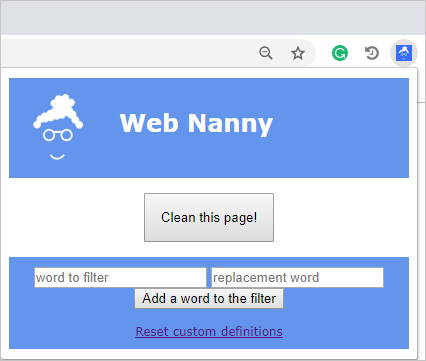 You can use Web Nanny to clean a whole web page make it suitable for your children. Once you have installed the extension, click on its icon. Enter the word that you want to filter, add the word to replace and click on “Clean this page!” button. The extension will remove all the words and replace with your words. You can reset the words by clicking on “Reset custom definitions”. Parental control is an extremely important duty of parents. Chrome settings and extensions are both great to achieve certain level of control on your kid’s activities. However, your kid can easily disable them. Setting up a profile will help better to get all history of your kid’s browsing. 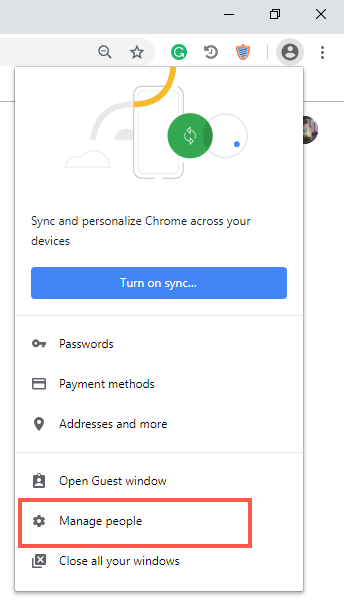 Even your kid disable the sync, it needs your Gmail password for enabling the sync again. Also you can find from history if no data is recorded.